This web page is the home page for English speaking amateur radio operators who use and enjoy Mizuho and/or Nishi Musen ham radio equipment. Mizuho Tsushin Co. was a small Japanese manufacturer of QRP radios and kits, ham shack accessories (many specifically for QRP use), radio direction finding equipment, shortwave receiver accessories, and AM broadcast band receiver kits and antennas. 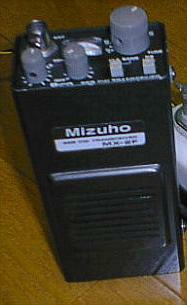 Mizuho produced a wide variety of QRP rigs and accessories from 1970 until their factory closed in December, 2004. A scaled back Mizuho still is in business from the founder and owner's home offering only simple broadcast receiver kits for elementary school students and repairs of existing equipment. As of July, 2006 there is also some remaining stock of a few ham radio items offered on the official Mizuho website. In days gone by, Japan was known by the name of Mizuho, "the land where beautiful rice plants grow in abundance". The water was pure and clean - and the rice plants would ripen every autumn. It was a beautiful country with an abundance of nature. In recent years, while human life has become ever more convenient, our calmness and the precious feeling of nature has been lost. Even with your busy life, I would love for you to enjoy Musen (Amateur Radio) and to feel relaxed. For this reason I chose Mizuho Communications as the name of the company. NOTE: It is very difficult to precisely translate the term Mizuho into English. To many Japanese it is an expression that is poetic, romantic and sentimental. It generally evokes images and longings for an idyllic, peaceful past. This is but one possible translation. In June, 2002, Rodney Tom, KH7L/JJ0JIH, took the liberty of informing Mr. Takada, JA1AMH, the founder and owner of Mizuho , about the reflector and it's then 64 members, mainly in the United States and United Kingdom, who collect Mizuho equipment. Mr. Takada very graciously offered to help us by sending copies of English language translations of Mizuho manuals for publication on this website. They are being scanned and added to the site as time permits. The reflector moderators and webmasters would like to thank Mr. Takada and Mr. Tom for making this service to the amateur community possible at no charge. Please note that most manuals posted to this site are in .PDF format, so you will need to have either Adobe Acrobat Reader or xpdf installed on your system in order to read them. Need to save money to buy more radio equipment? Try saving money on car insurance. By comparing rates online, you can save hundreds of dollars - that buys a lot of radio equipment. 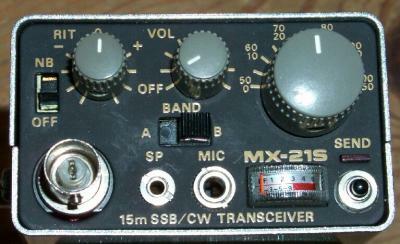 The other company covered by the reflector, Nishi Musen, produced handheld SSB/CW transceivers similar to those produces by Mizuho, but for the 2m and 70cm bands, as well as a 23 cm transverter, a 6m transceiver, and an 80 meter QRP transceiver. This site exists for two reasons: First, to promote the Mizuho and Nishi Musen reflector, an e-mail English language discussion list for hams the world over who enjoy Mizuho and/or Nishi Musen equipment. The reflector has over 160 members as of July, 2006. Second, to provide information about equipment by these two manufacturers, old and new, in English. As time goes on, I hope to continue to expand and improve on this site, and make it a really useful resource to all English-speaking QRP and VHF weak signal enthusiasts. It is the wish of the reflector moderators, the webmaster, and Mr. Takada himself that this site helps keep the equipment alive and a vital part of amateur radio well into the future. The Mizuho reflector exists to be a forum for discussion about all aspects of Mizuho and Nishi Musen equipment. This includes technical discussions and help, operating information, buying, selling, and trading of equipment, and the occasional discussion of similar equipment. OEM versions of Mizuho equipment, such as the JIM, Pico, and AEA DX-Handy branded versions of the MX Series handheld transceivers are, of course, also fair discussion topics. The reflector is for the amiable sharing of ideas, so... the list moderators ask that everyone please be courteous and respectful of one another. I know that's hard sometimes, but let's all try to agree on maintaining a civil tone even when we disagree, OK? Let's also try to be helpful, especially to newcomers to the hobby. Also, let's try to keep on topic. If you need to discuss something unrelated to Mizuho or Nishi Musen equipment, please move the discussion to private e-mail. Failure to be civil and follow these simple guidelines can result in suspension or banning from the reflector.